My feet. In flip flops. 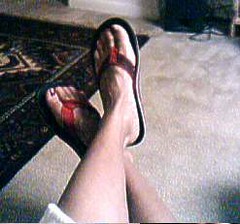 Kinda grainy so they don't show the paint job on the toes.